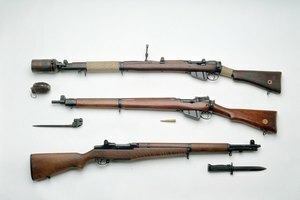 What Kinds of Weapons Did the Americans Use in WWII? 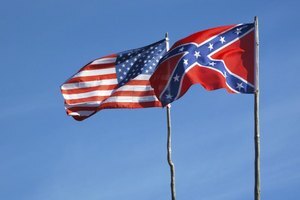 The Civil War was one of the first modern-style wars. Historians often call the Civil War the first “modern war” because both sides relied on advanced technology, tactics and innovations. Weapons such as rifled cannons and rapid-fire weapons were some of the weapons that emerged during the period. Although both sides used similar weapons, their arsenals did have some different weapons. Union soldiers most commonly used the Colt Army Revolver Model 1860 as a sidearm, while Confederates used the Colt 1851 Navy revolver. The Colt Army Model 1860 was a six-shot pistol with .44 caliber ammunition. More than 200,000 were made during the Civil War. On the other hand, the Colt 1851 Navy Revolver was a single-action ball and cap revolver with .36 caliber ammunition. The Navy Revolver became a Confederate favorite because of its easily interchangeable parts. About 250,000 Navy revolvers were created during the war. 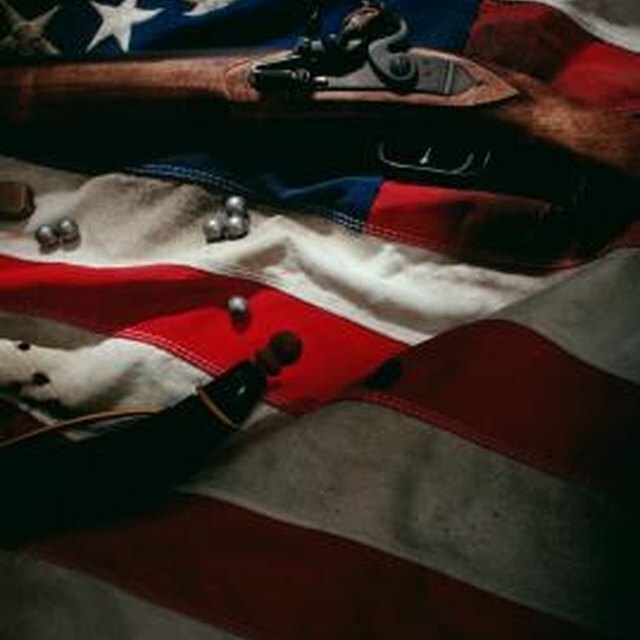 Although several kinds of rifles were used by both sides during the Civil War, Union soldiers were often equipped with the Springfield Model 1861 while the Confederates had the Fayetteville rifle. The Springfield Model 1861 was manufactured in Springfield, Massachusetts, and it became widespread among Union soldiers because of its reliability and range. The Fayetteville rifle was produced in Fayetteville, North Carolina, and was patterned on the Springfield rifle. 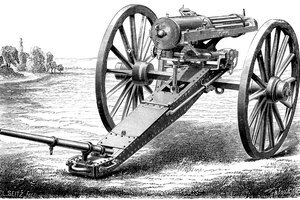 The Napoleon was the most popular cannon used by both sides. It was a gun-howitzer capable of damaging enemy targets as far as 1,700 yards away. It was muzzle-loaded, had a smooth-bore barrel and was equipped with a projectile weighing around 12 lbs. 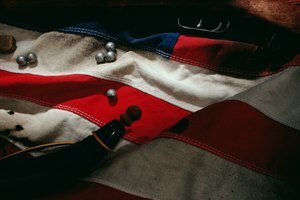 It became one of the most dangerous weapons during the Civil War especially when it was loaded with a canister -- a tin can filled with iron balls that exploded in a spray shot when fired. Ketchum grenades were often used by Union soldiers, while the Confederates had the Rains and Adams grenade. The Ketchum grenade had three main parts: a plunger, casing and tailpiece. It was designed in a way that it will land on its nose where the plunger was situated to activate the explosion. The Rains and Adams grenade had the same mechanism, although its design proved less effective than the Ketchum. Rifling became a standard process in creating almost all types of barreled weaponry, which provided better accuracy and reliability. Explosives, such as grenades and landmines, were also introduced. 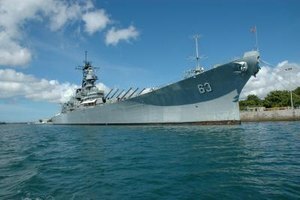 Naval weaponry, use of railroads and aerial reconnaissance were also some of the advanced tactical strategies used during the Civil War. In the end, one of the reasons why the Union won was because they had more access to better weapons and supplies. Johnson, Steve. "Union Vs. Confederacy Civil War Weapons." 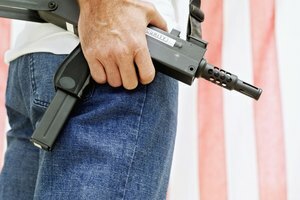 Synonym, https://classroom.synonym.com/union-confederacy-civil-war-weapons-8292180.html. 25 April 2017.